I think that it really started on Wednesday, July 10th, 2013, three weeks to the day since my grandfather Joseph passed away. He was over eighty, and had been ill for over a year, and finally passed away in his sleep. I felt sad, obviously; I had been as close as you can be to your octogenarian patriarch, I suppose, but I didn’t feel any deep sorrow over his death. My parents weren’t overly distraught, either – he had been ill for over a year, as I said, and it was more or less expected, so everyone had time to make peace with it, once he passed. 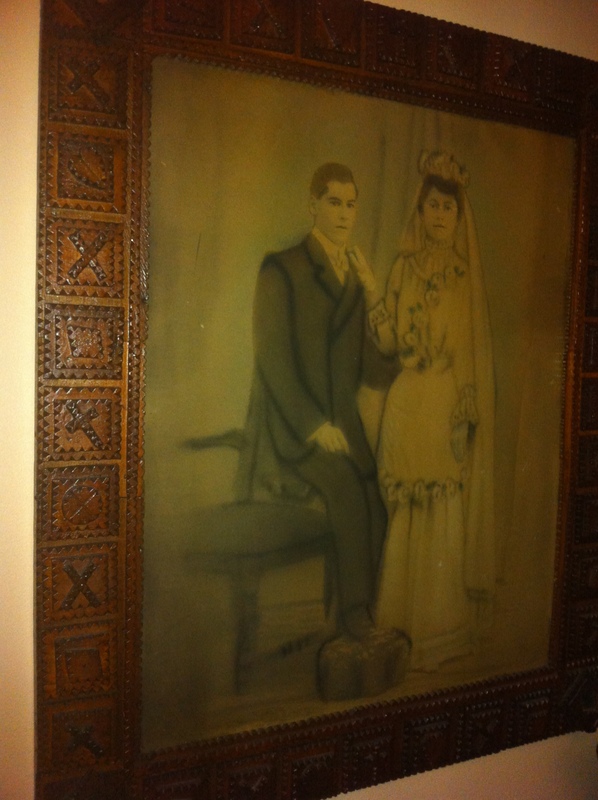 My father arrived with two large items – a steamer trunk full of memorabilia from my grandfathers life, and an odd sort of portrait of my great-grandparents in a bizarre, hand-carved frame. My father said that they were family heirlooms, and that I should take good care of them, that they were connected to a ‘rich family history’. After recent events I’m wondering more and more what the details of that history are. It was soon after I took possession of the painting and the steamer trunk that I saw the shadow figure, and I’ve seen a number of things since. If it had just been one or two things, I could pass it off as the light playing tricks, something like that. It’s not, though – I’m sure of it more and more lately.